Hello everyone, Danny here as always to go over one of the newest formations straight out of Gathering Storm III, and if you want to run Papa Smurf but don’t want him to get shot to death, here is the formation you need! 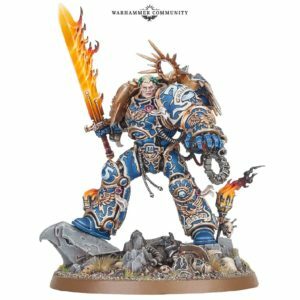 The Primarch’s Chosen: Guilliman may Look Out Sir! to models from this formation within 3” of him. Ok, so this formation is pricey as you are taking a lot of elite models, but the bonuses are pretty substantial. BS 5 Sternguard and Vanguard Vets can be intense, especially with Grav thrown into the mix, and of course, the big deal is being able to shunt wounds, so the big, smashy Primarch doesn’t get annihilated by a D shot on turn 1. 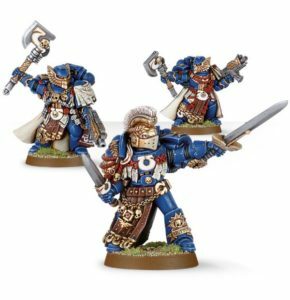 If you want to seriously run Guilliman, you should really consider this formation. Um, not taking transports is pretty painful. Ok, it is, but let’s look at the bright side. The first and foremost is that this formation answers one of the big problems that trying to run Big Papa creates: How to keep him alive in shooting? Papa Smurf is a beast in melee, but he has to get there (slowly), so he is going to eat shots, and a 2+/3++ with Feel No Pain is good, but it isn’t going to keep him alive for more than two turns against Tau, Eldar, or Renegades. With this in mind, bring out the meat shields! You can actually run this formation for cheaper than you think if you just spam naked Vanguard Vets. They can hide behind Papa Smurf with BS 5 bolters, and if there is a big shot, you can shunt it over to them. The same is the true of the 2 naked Honour Guard that exist to just eat D shots. Sternguard are interesting too as while they are more expensive, with their specialist ammo and BS 5, they can really start to wreak bloody havoc on units, especially considering that they will likely have rerolls at some point, so yah, even 5 naked Sternguard at BS5 can be a legitimate threat to anything within 18 inches of them at the start of their turn. You can also try to make this more of a legitimate part to an army. While the Sternguard do not get Drop Pods for some close-range double-tap fun, the Vanguard vets still get access to jump packs, so you can deepstrike them for some mobility to this formation. Especially giving them some special weaponry like Grav-Pistols can give them some nice BS5 pop. 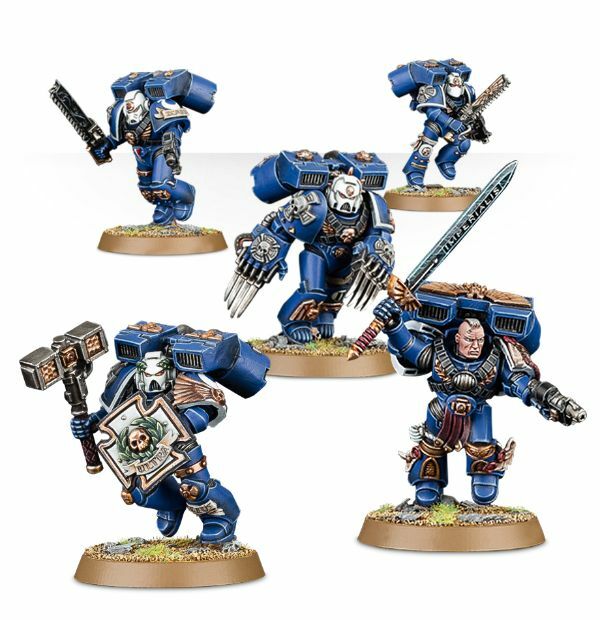 You can also kit them out of melee with cheap power weapons to force your opponent to choose whether to try and gun down Papa Smurf and his meat shields or deal with the threats in his backfield. You can also run some heavy shooting with Sternguard by giving them some mean load outs, and while they have to walk and don’t have relentless, two Grav-Cannons with Amps are still good shooting at the hip at BS5. 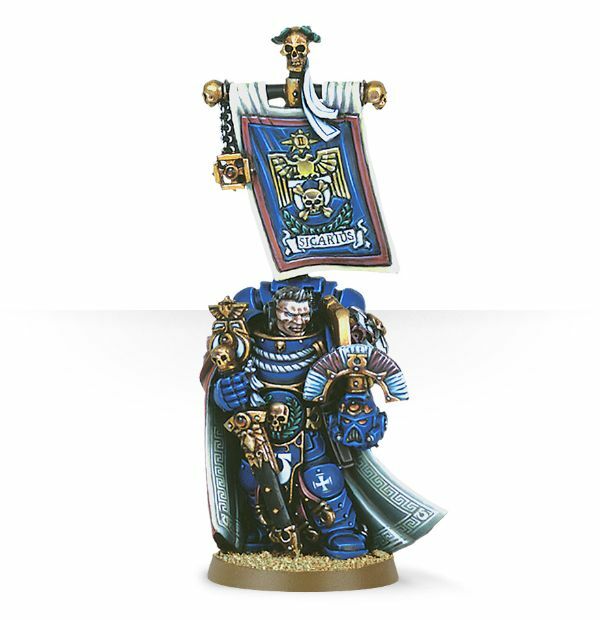 While you can’t make every unit a killer, you can at least one or two units that can try to add more to the fight than just ablative wounds, and with Vanguard vets, you can load them up heavy with stormshields to really soak wounds for Papa Smurf. If you run this formation efficiently, you can fit it into the new Ultramarine Decurion and get Obsec for everything, which is never bad. You are essentially building a solid center where Guilliman takes point and you have several units around him to tank any big hits. Ok, that doesn’t seem as bad. Well, there are still some big issues here. The first is cost. None of these units are particularly cheap, and having to take 5 units and a special character is really expensive. The cheapest possible you can get away with is 640 for everything naked, and add in Papa Smurf, that’s 990 points of your army that really rely on just one model to put in work. 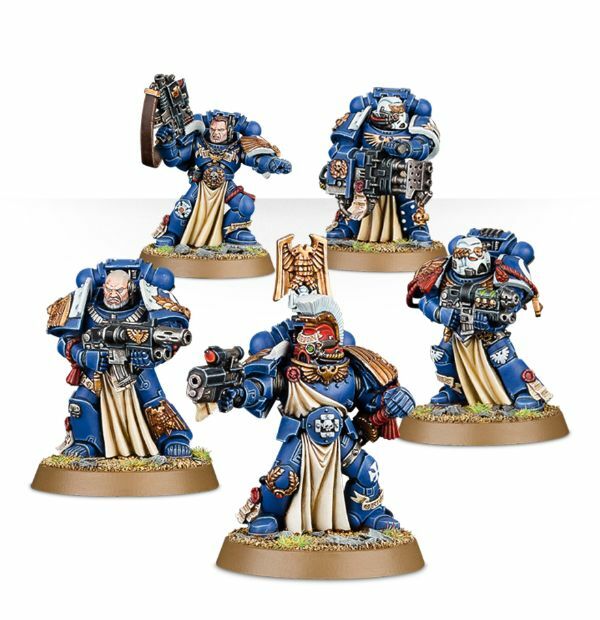 Granted, it is Space Marines, so you still have room for a surprising amount of stuff, but really, Papa Smurf is not going to do enough to justify 640 points of ‘Meh’. The second issue is of course speed. This formation (except for the Vanguard Vets) are walking, so you are pretty much promising your opponent 3 turns at minimum of shooting at them, and very few things are going to survive that in this game. While these units are all above average in ability, they typically rely on transports to get to do what they need to do. 5 space marines are not hard to kill, no matter how cool they are. Overall, this is a fluffy formation that does give you a legitimate chance to make use of Guilliman outside of Conclave support, and I do think you can make a decent list with it, but it won’t ever compete with the big dogs. Oh well, maybe in 8th. As always, thanks for reading, and please do check out that Patreon.